Meet in Downtown Boston in the morning or arrange for pickup from your hotel. Get ready for a full day of sightseeing! 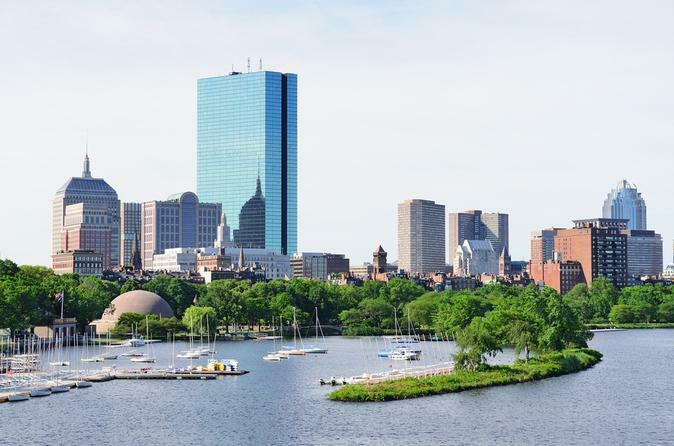 Throughout your 7-hour tour, you’ll see the Boston area’s main must-see sights while learning some fascinating history from your expert guide. Start with a drive by comfortable coach to neighboring Cambridge, where you'll drive by the campuses of the Massachusetts Institute of Technology and Harvard University. See historic Harvard Yard before continuing on to the nearby town of Lexington, where you’ll stop to visit historic Cambridge Common and the Lexington Battle Green (formally Lexington Common), the site of the first shots of the American Revolutionary War. Your guide will entertain you with historical anecdotes as you obverse this US National Historic Landmark. Next, head to the town of Concord to see the Battle Road Trail, the route that Paul Revere took when he warned the Minutemen about the oncoming of British troops. You’ll also see the homes of novelist Louisa May Alcott and essayist and poet Ralph Waldo Emerson, and stop by the notable Old North Bridge. Back in Boston, start your afternoon with 1.5 hours of free time at the Faneuil Hall Marketplace (Quincy Market) to explore, shop and have lunch on your own. Then, hop back on the bus and begin your narrated sightseeing tour of Boston. View Beacon Hill’s 18th-century steeples and stately townhouses and explore the West End and North End neighborhoods. See the New England Aquarium from the outside, cruise through the Seaport District, view the site of the Boston Massacre, and stop to visit the USS Constitution, a wooden-hulled, masted ship named by President George Washington after the US Constitution. This is the world's oldest commissioned naval vessel still afloat! See below for a full list of sights seen on your Boston sightseeing tour. At the end of the day, you’ll be taken back to your original departure point with a whole new appreciation for Boston.